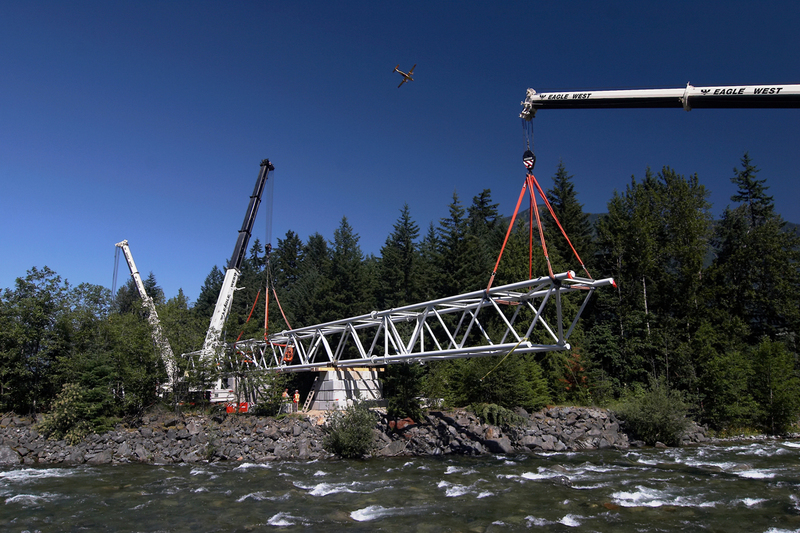 Ruskin has the ability and expertise to provide aerial pipeline crossing solutions when conventional methods are not viable. 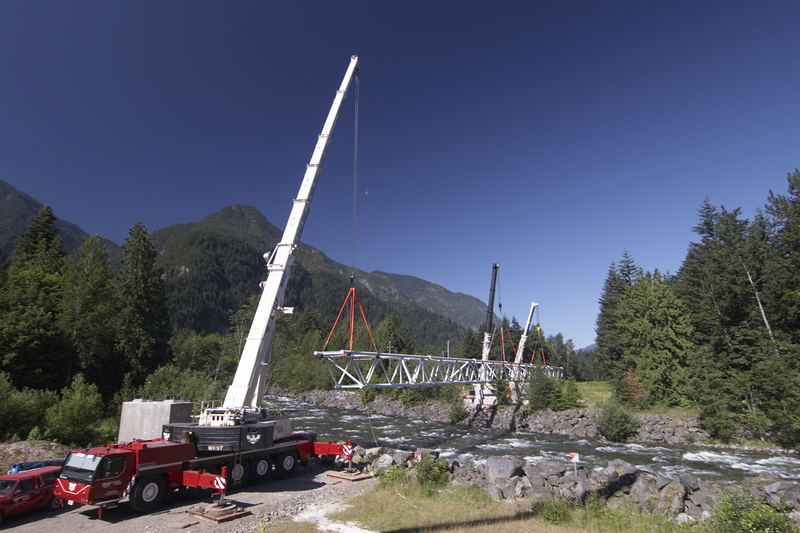 The Oil & Gas pipeline industry requires a safe, environmentally sound and operational efficient option of installing pipelines at sensitive water crossings. Branching off of our extensive bridge construction experience, Ruskin’s service base includes engineering and construction solutions for aerial crossings that guarantee pipeline construction need not be stopped at water crossings. 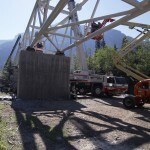 With planning, the structures can meet the requirements of the environmental agencies, and be constructed in a relatively tight time frame to meet the critical schedules presented by short construction seasons. 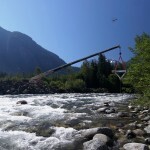 Aerial pipelines can also be offered to clients as a guaranteed solution with a fixed price and schedule. 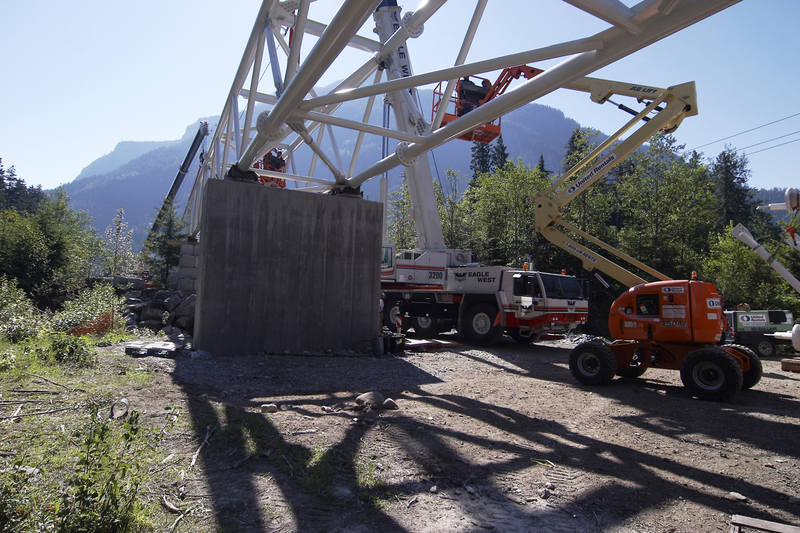 Additionally, in many instances aerial pipeline structures become multipurpose, providing vehicle or ATV access incorporated with the primary pipeline purpose allowing for greater cost benefit. 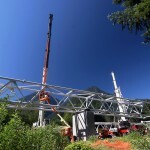 Expansion can also be engineered into the structure at a relatively low cost for future development. 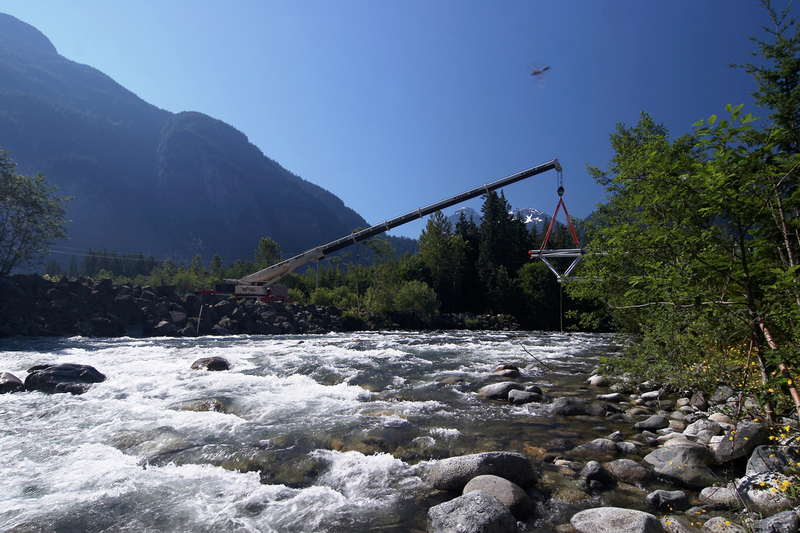 Working with Industry and the applicable agencies, aerial pipeline construction has proven to be a solid, cost effective and environmentally accepted alternative. 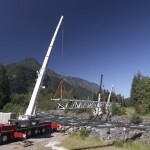 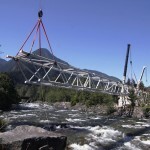 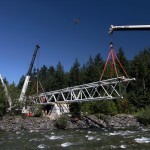 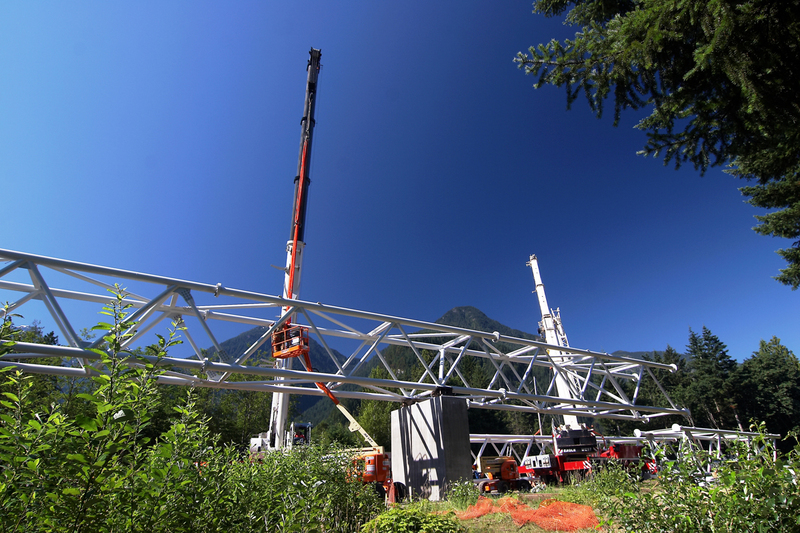 This project involved the installation of an aerial pipeline truss over Silver Hope Creek, near Hope, BC. 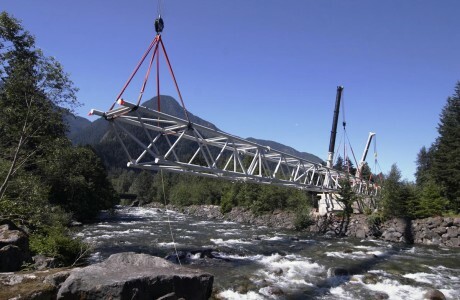 Ruskin constructed 2 piers with drilled piles, and then installed a 110 meter truss using three (3) cranes – 110 ton, 200 ton, and 270 ton.